The Jordan Brand were known for producing quality and elegant basketball shoes, but this month they are going to try their luck in the baseball market once again with the release of a new edition of Jordan Jeter Cut. 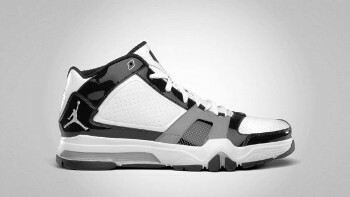 A signature shoe of New York Yankees superstar Derek Jeter, the Jordan Jeter Cut was released in White/White-Pitch Black-Metallic Silver, which looks very interesting. The shoe is predominantly white-colored with black patent leather on its sides along with some cool grey linings. With its impressive look and considering how famous Derek Jeter is, this shoe is expected to hit strides in the market this month!